If you’ve got a day or two spare either side of the F1 weekend, there’s plenty to do in Bahrain. The beauty of this tiny country (which is similar in size to diminutive Singapore) is that you can cover a lot of it in a short space of time; organizing a car and driver is both cheap and easy through your hotel if you want to do some sightseeing. Bahrain is also a lot more liberal and cosmopolitan than most of its neighbors, whilst retaining an authentic Arabian culture. Here are some of our top attractions in Bahrain. A series of bridges separate Bahrain from Saudi Arabia, and you can stop for a cup of tea or a meal at the halfway point across the King Fahd causeway and take in the staggering panoramas. The tower itself – pictured – is a spectacle to behold, sitting high above the water like a spaceship. Go for the views, not just the food! Click here to learn more. Bahrain has a culturally rich history and it’s all covered in the Bahrain National Museum, which features ancient artifacts from the 5000 year story of the area. Comprised of 9 main halls, entry to the museum is cheap (just 1 BHD/€2.33 EUR) and the museum is open 08:00-20:00 every day. Elsewhere, you can find the remains of Qal’at al-Bahrain (Bahrain Fort). This 16th century Portuguese fort is a UNESCO World Heritage site, and the area was key to understanding Bahrain’s history. Entry to the site is free and there is an on-site museum. In total, the country has four historic forts, which are a draw for those interested in learning about the country’s trading history. Bahrain isn’t exactly known for its beautiful beaches, but if you fancy taking some time out on the sand then Al Jessayah is the best public beach, though beach clubs and hotels offer far prettier private beaches. Alternatively, the Al Dar Islands are an eight-minute boat ride from the city: a full beach resort complete with cabanas and huts, shopping, restaurants and watersports. Further afield, the Hawar Islands are a 50km boat trip from Manama, but well worth a visit. The 35 islands, 80% of which are made up of a wildlife preservation zone, are still relatively undeveloped. If you’re planning on visiting the Al Dar or Hawar Islands, be sure to take your passport for coastguard inspection. It’s also worth considering a trip to the Wahooo Water Park. Cool off and make a splash at this indoor-outdoor water park located in the enormous City Centre Shopping Mall in the glitzy Seef district of Bahrain. Entrance is 12 BHD (€28 EUR). From browsing for spices and perfume to sampling the street food and picking up all manner of souvenirs, no visit to Manama is complete without a wander through the souk (or Manama Souq). This bustling market is a little oasis of traditional Arabic culture amidst the skyscrapers of Bahrain. Enter via the historic Bab Al Bahrain building. For a more modern shopping experience, visit the City Centre Bahrain. Located in the Seef district, the largest shopping centre in the country offers everything from conventional stores to a range of cuisine, cinemas and even its own hotel complex! Bahrain has fully jumped on the bandwagon of a la carte brunching, and most large hotels and resorts will offer a brunch event at least once a week.. Al Safir’s Chocoholic Brunch at the Sheraton Hotel is one for those with a sweet tooth. Chocolate sculptures line the entrance hallways as guests are served chocolate-infused drinks and treated to a menu of cacao-laced delights. There’s also plenty of sushi, shellfish and dim sum on offer. Brunch at the Sheraton is served on Fridays, and costs 22 BHD or 28 BHD if you’re drinking alcohol (€51-65 EUR). Visit the Al Fateh Grand Mosque. Join a guided tour of this impressive public monument with a capacity for 7000 worshipers and known widely as Bahrain’s cultural centre. Dress conservatively for your free tour and keep legs covered – no shorts. Visit the Tree of Life, a 400 year old tree on the site of an ancient fortress. Learn more about nightlife, bars and restaurants in Bahrain via TimeOut Bahrain. 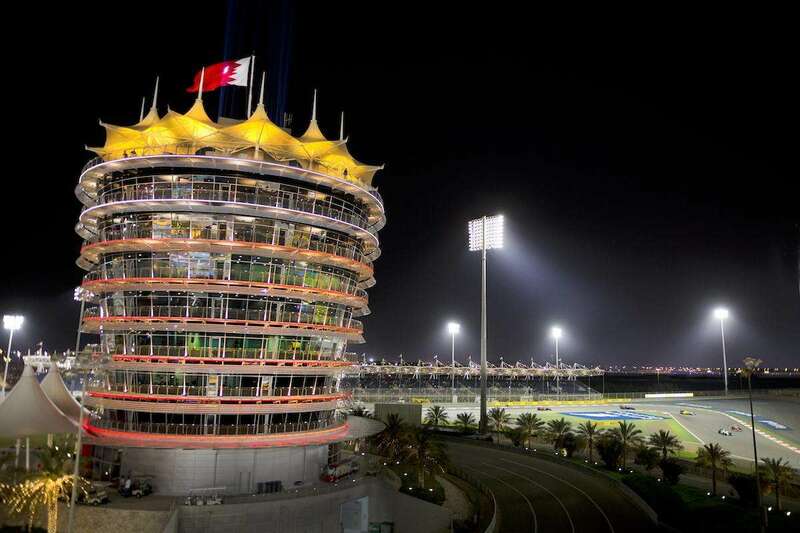 Have you been to the Bahrain Grand Prix? Leave a comment below!